← It’s been a while…. I actually spent some time today adding a few images to the database. It’s still pretty sparse, but every little bit counts. I still have a vision to have all the card images in there. All the of the card text from ALL of the cards in the Nickel Tour IS in the database. So, either way, you can still search the text of the cards using the database…images or no. It’s pretty handy actually! Here is one of the cards I uploaded today…NT0396. Always loved this image! Reminds me of the old Wonderful World of Disney TV show. If you see blanks of images between NT0001 and NT0400, and you have that card…don’t hesitate to let me know. I could definitely use the help. This is your database too! Hello. 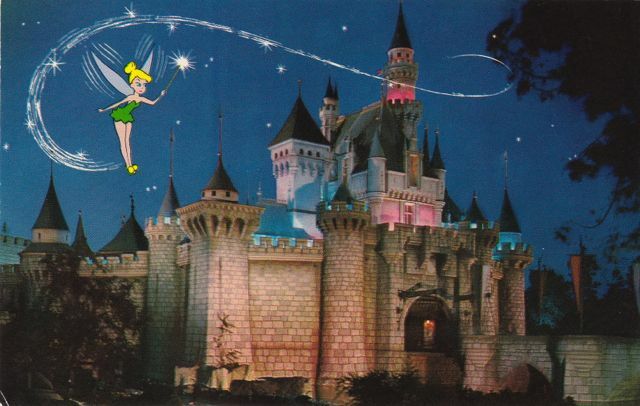 I have been collecting Disneyland postcards and paper items for a few years now and figured I would start to share my collection with any and all who are interested. I actually started blogging on Blogger (sundrycollectibles.blogspot.net) but after a while realized I wanted a dedicated Disney site since it is a fairly niche hobby. Enjoy! This entry was posted in Disneyland, Disneyland Postcards. Bookmark the permalink.